I love running a blog about being a mother. It has given me so many opportunities I would have never otherwise had the chance to participate in. This is why I so excited to be a part of this sponsored post for SocialMoms and Red Robin’s blogging program. I grew up with Red Robin. We had a few restaurants in Boise when I was a teenager and it became the place to hang out in high school. What isn’t to love, gourmet burgers and the best fries in the city? You can imagine my excitement when they opened a Red Robin right next to my daughter’s preschool last month. We do have a couple of Red Robin restaurants in Indy, but now we have one very close to us! 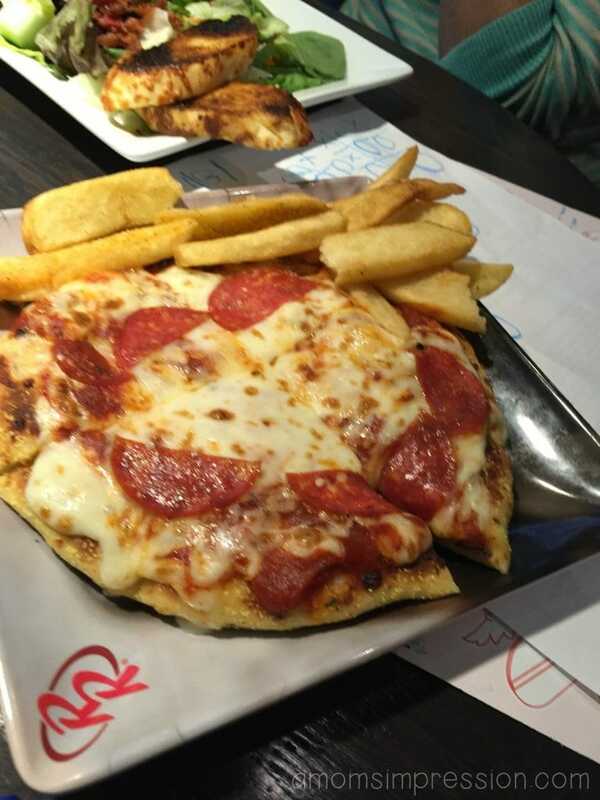 We recently visited the new restaurants and enjoyed a fun filled family lunch. The best burger I have had all year long! The extensive list of burgers at Red Robin will amaze you, there is something for everyone in the family. The kids pizza has the pepperonis in the shape of a smiley face! 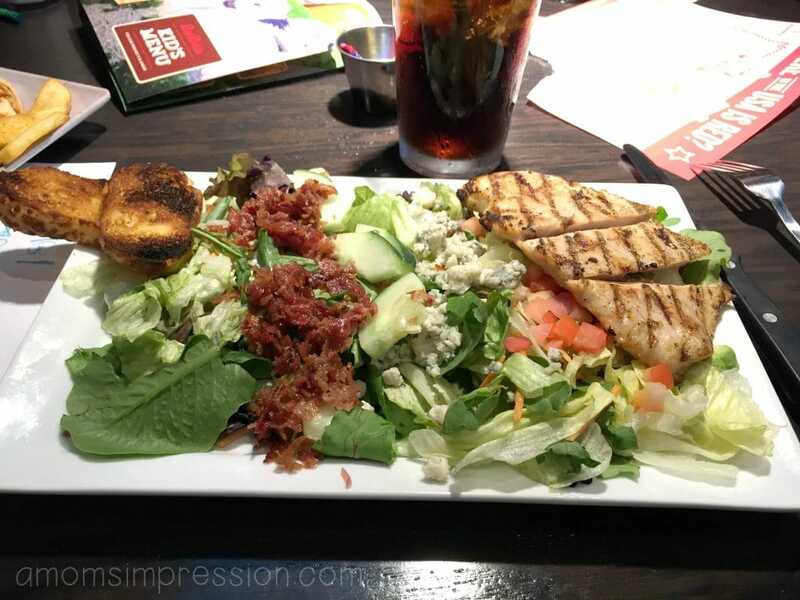 Red Robin doesn’t just have burgers, it also has amazing salads just like this cobb salad my mom ordered. We also found out some exciting news! So, what is so exciting? I learned that I can eat delicious, gourmet burgers and also help promote better education in our communities! I want to tell you all about Red Robin’s Burgers for Better Schools Program. I know that we are back into the full flow and routine of the school year, but it is never too late to look for opportunities to help out the schools in our country. What do you have to do? Well, you just have to go to a Red Robin restaurant and eat, then they give a portion of your check to a school of your choice. So how does it work? 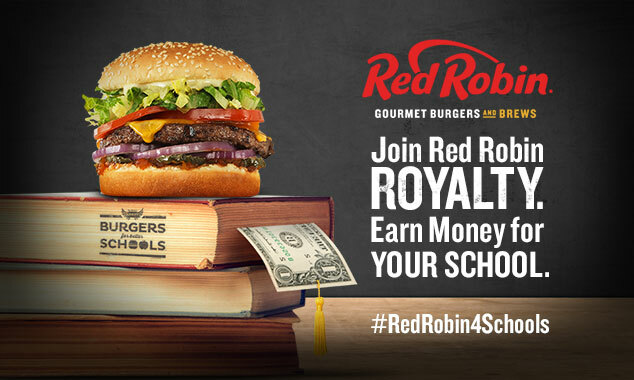 If you become a Red Robin Royalty Member, every time you visit a Red Robin and use your Royalty Account, they will give 1% of your check to a school of your choice. Just go online (Click Here) and create an account, it is very easy and takes no time at all. Once you have done that, you can select a school that you want your money to go to. Any K-12 school registered in their system is eligible. Everyone likes hamburgers. Everyone wants to support education. This is a win-win situation that makes me smile. Don’t hesitate; it costs nothing more than a couple minutes to set up an account. 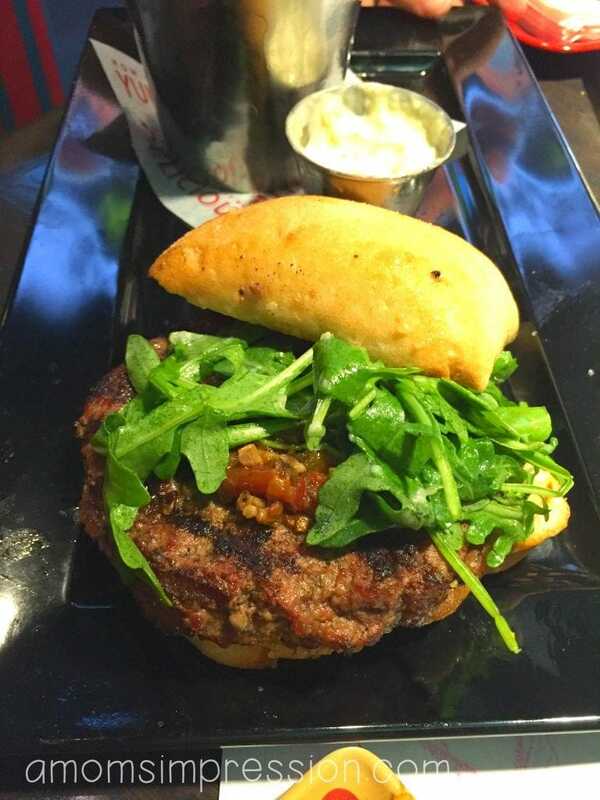 What could be better than eating yummy hamburgers AND feeling good about it?